New Item! Expected to Ship 07-03-2019. Lightweight and durable to make marching easier. Whether in the stands or in the lot, Airlift Stadium Hardware™ by MAY has been designed with the needs of today’s marching percussionist in mind. Lightweight durability, ease of mobility, and environmental adaptability help to make life easier for the percussionist on the go. Integrated air suspension system allows the telescoping tube to glide up and down effortlessly. A single leg adjusts independently to ensure stable support of the instrument whether on the field or in the bleachers. Tempered aircraft aluminum alloy embodiment for a lightweight result without sacrificing strength. Folding lightweight aluminum tubular structure allows for ease of transportation. 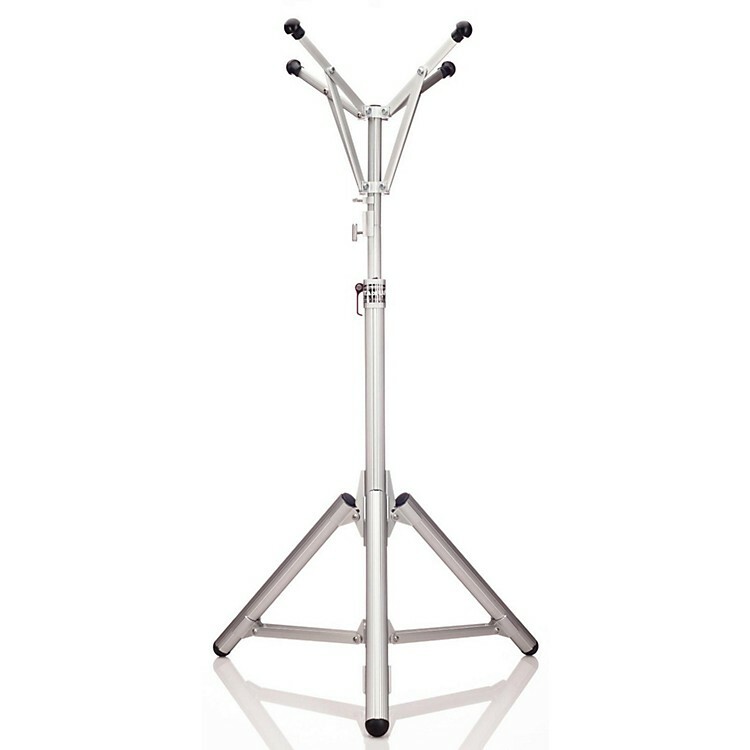 Height adjustable to maintain proper playing technique and accommodate all players regardless of the stand’s environment.